**$10k Price Reduction**Located in the Chateau Du Mont Estates subdivision, this stunning 2-story home w/3-car garage is move in ready! 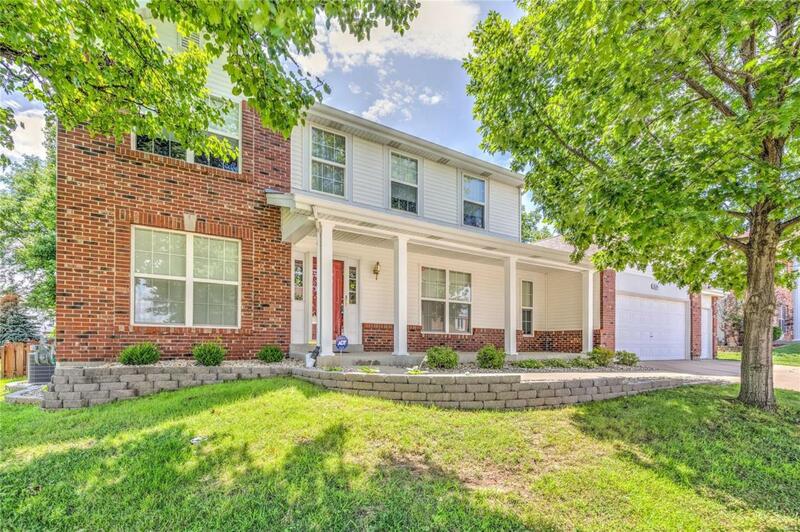 W/over 2500 sf of main/upper living, this 4 bd/3.5 bath home is sure to impress. Entry foyer boasts beautiful wood floor, new carpet throughout main floor Living Room, Dining Room, & Great Room w/wood burning fireplace. Vinyl, tilt-in windows. Kitchen: new microwave, pantry. Breakfast Room has bay windows, new door w/built-in blinds that leads to the back patio & beautifully maintained backyard. Plentiful cabinets & linen closet in the Main Floor laundry area. Upper level Master Bedroom Suite w/walk-in closet, double bowl vanity, sep shower/tub. Newly carpeted 20x30 Sun Room w/heating & cooling unit, french doors w/built-in blinds. Head down to the lower level where you will find a rec room, bonus room & full bathroom. Low maintenance vinyl & brick veneer exterior, w/enclosed fascia-soffits.